While entering the spring season, it’s quite common to reopen those abandoned projects from last year. Whether the project was about the deck garden, interior DIY improvement or replacement of outdated exterior doors, Window Mart is ready to restart whenever homeowners want. With a professional team and extensive experience, they have got everything to successfully complete the project as soon as possible. Most of the homeowners would think why is it necessary to carry out home renovation during spring? Well, the reason is quite obvious- it is the best season to get prepared for the next one, meaning that if the living space is losing its energy efficiency, it would be ideal to work during those months that usually do not demand homes to work intensively. To begin with, door replacement turns out to be the first stage that depends upon architectural style and performance requirements. Normally, it starts with material selection followed by complementary style that is available in the following varieties. Modern has become a new language in numerous home décor magazines, networks and television shows. A lot of people are confused about its actually mean. Well, taking it simple- modern home design is all about having a touch of early-to-mid-century structure from the machine age. In plain English, it means lack of intricate details, constructed with concrete or steel, having open floor plans, large glass and window panes. It now depends upon homeowners what they want. If these feature could blend with interior and exterior, they can get appropriate exterior doors with rigid geometric cutouts/shapes for windows and stained glass with patina, brass or zinc. When the property has crown moldings, unique details on the walls or woodwork and high-end furniture, elegance would be the best category to choose from. 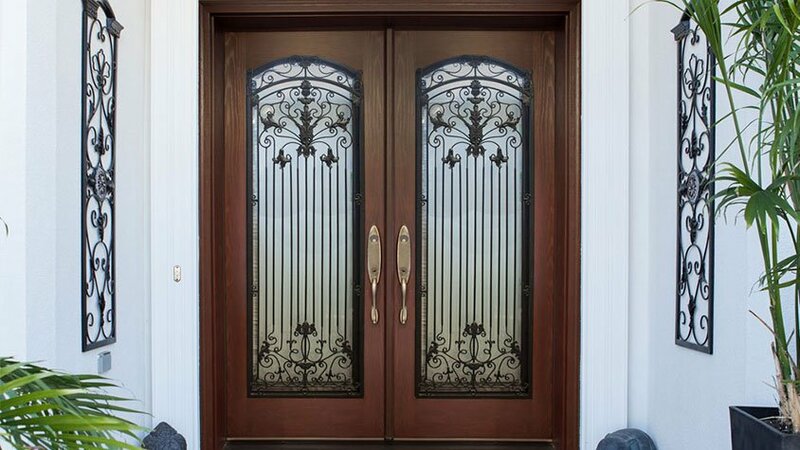 An ideal exterior door should have decorative glass inserts, noticeable hardware and interesting designs. To give a final gorgeous touch, beautifully brushed metal door lever and knocker or handle hardware are added. Contemporary homes usually have open spaces, clean lines, in-ornate furniture and natural items like stone, cedar and earthy or neutral paint colors. Fusion Doors and MasterGrain lines are the best possible options to add those features. In order to add a little flare that allows exterior doors to standout among others, it is recommended to go for oversized hardware and fun colors or narrow French doors and elongated windows. The best thing is that they are customizable and can have red color without windows or bronzed door knockers. Even, there can be teal double doors with stained glass and level handles. For vintage look, arched exterior doors with side accent windows or ornate French components with elegant glass detailing would be the best options. Window Mart suggests to consider Miliano Designs for a perfect look! With these above mentioned style options, homeowners can easily come up with the most suitable one. Or else, they can allow Window Mart to carry out the selection process that would be based on their specifications and descriptions.